The following list includes a variety of ways in which to create a planned gift for Bona Vista Programs. If one of these giving methods works for you, or if you would like to explore additional planned giving options, please contact our Development Department at 765-457-8273 or BVDevelopment@bonavista.org. A specific bequest is made when a specific amount of cash, securities, or property is transferred through the donor’s will. A general bequest is made when the donor designates property that is similar to other items distributed (usually cash) at the time of death. A percentage bequest is made when the donor transfers a stated percentage of his or her estate. A residual bequest is made when all or a portion of what remains of the donor’s estate is transferred to Bona Vista after all other specific and general bequests have been satisfied. A charitable gift annuity generally involves an immediate gift invested by Bona Vista Programs with a larger gift that comes when the contract is said to mature. It allows the donor to transfer property to Bona Vista Programs, receive an immediate federal income tax deduction based upon certain values, and allows an annuitant to receive certain specified lifetime payments. Deferred gift annuities allow the donor to receive an immediate tax deduction while deferring the start date of the annuity. This allows for increases in both the amount of the annuity and the income tax charitable deduction. A charitable trust is generally created to benefit a specific charity. A charitable lead trust is created when the settlor places certain assets into the trust, setting aside those assets for use by Bona Vista Programs. After a designated period, usually 10 years or longer, the right to the assets passes back to the donor or the donor’s heirs. A charitable remainder trust allows the settlor to establish a trust that pays income to his or her heirs for a specified period of time, with assets from the trust being paid to Bona Vista Programs after that time period has ended. An annuity trust allows a trustee to pay a sum certain on an annual basis to one or more beneficiaries for their respective lives or for a specified period of time. 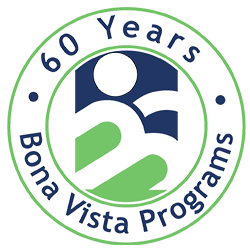 After that time, the remainder of the trust can be transferred to Bona Vista Programs. A unitrust is a trust from which a fixed percentage of the fair market value of the trust’s assets, valued annually, is paid each year to the beneficiary. A retained life estate allows a donor to fund a charitable gift with his or her home or farm. The property is gifted to Bona Vista Programs, with the donor receiving an immediate tax benefit at the time the gift is made. The donor continues to enjoy the use of the property and, at the end of the retained life estate term (usually the end of the donor’s lifetime), the property passes to Bona Vista Programs as a charitable gift.